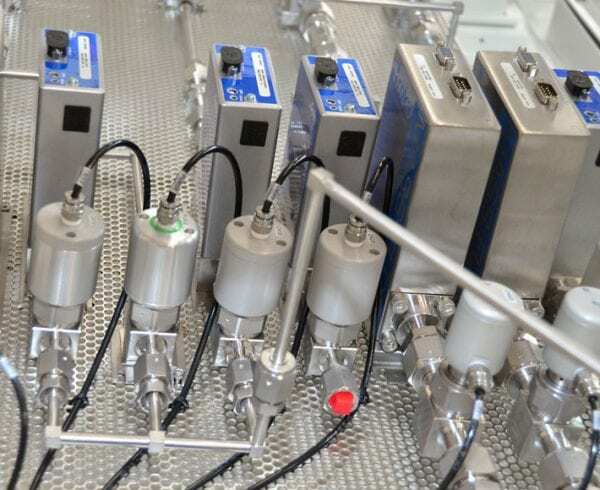 A gas box offers immense benefits to OEMs in a range of industries including those in life sciences, medical devices, semiconductors, and alternative energy. It can speed up production by keeping up a steady pressure of application gases flowing to workstations throughout the production floor. 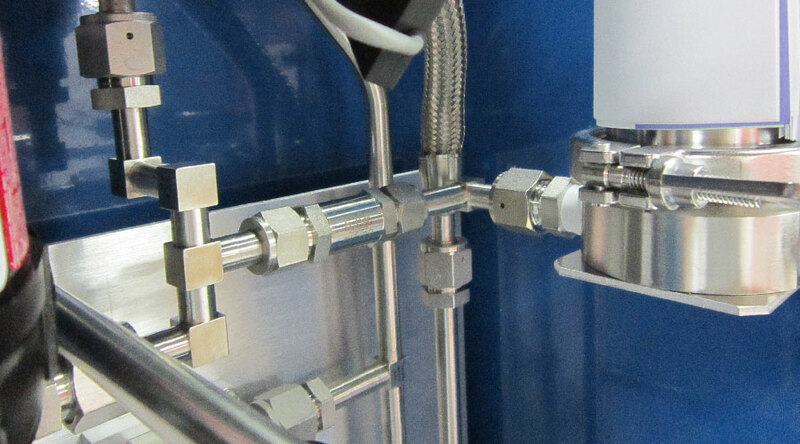 The gas box can also speed up changeover capabilities and allow workers to better control gas pressure. The top characteristic to consider in choosing the ideal piping material is whether it is compatible with the gas that will flow through the line. Certain materials can be negatively impacted by the properties of the gas. The pipe could corrode faster, become brittle and crack apart, or cause contaminants to leak or leach into the gas cylinder. Certain pipe and tube material is only rated to withstand specific pressures before experiencing failure. Pipes come with a pressure rating that signifies the amount of pressure they can withstand before bursting or cracking. For example, copper pipe may have a pressure rating of type L, which indicates that they can withstand gas pressures of up to 200 pounds per square inch gauge (PSIG). For certain applications, such as manufacturing semiconductors or medical devices, the purity of the gas used is essential. The piping needs to have a certain thickness, when the pipe is welded together. One type of pipe material used to ensure high purity gas applications is stainless steel with an electro-polished interior. A manufacturer may also select copper tubing or plastic tubing when they do not want a hard pipe or seams. Some gases may have extreme hot or cold temperatures, such as cryogenic gases that have a boiling point of minus 130 degrees Fahrenheit. These gases can cause the wrong type of pipes to break or burst. The material selected has to withstand extreme temperatures. A manufacturer may also have to select a material that prevents temperature fluctuations, as some gases can spontaneously combust (pyrophoric gases) when there is a change in temperature. Sometimes a pipe must undergo sterilization to remove contaminants and ensure the highest purity gas is being sent through the line. Selecting gas box piping requires understanding how the pipe will react to certain cleaning methods. 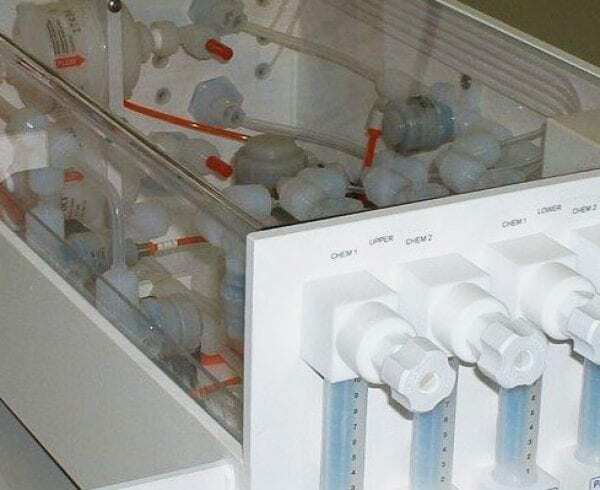 If a clean in place (CIP) sterilization method is used where chemicals are placed inside the pipe, the pipe materials must be able to withstand the chemicals and not corrode. If a steam in place (SIP) method is used, the pipe material must be able to withstand the steam’s high temperatures. If you are considering adding, replacing or improving a gas box in your manufacturing operation, contact Axenics. Our contract manufacturing capabilities empower you to obtain the piping kits and gas delivery components necessary for the job, no matter what the job is. We provide welding, tube bending and complex assembly services that meet a manufacturer’s unique specifications. 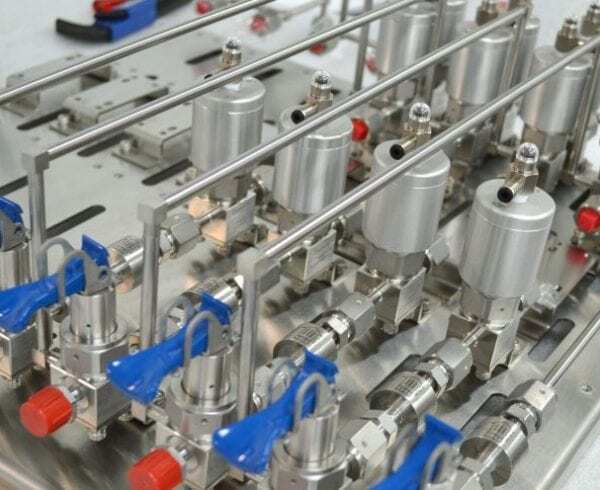 Learn more about our contract manufacturing solutions, component manufacturing work and specialty piping kit capabilities by speaking with one of our engineers. If you’re considering working with a contract manufacturing company, it’s important to analyze a variety of factors before making a choice. Above all else, your choice should ultimately be about much more than the cost of the services. It should also be (and maybe even more so) about the value of the services being provided. We understand cost matters. Everyone wants to get the best quality of products and services for the best possible price. However, there are times when quality takes precedence over price. When it comes to manufacturing, the quality of the products — from individual components to complex assemblies — really matters. If you’re looking for a contract manufacturing partner that values quality as much as you do, it’s worth paying the price. When reviewing a quote from a contract manufacturer, it’s important to understand what is included in the price. Are they just quoting you for materials and labor? If so, it’s possible that there will be some hidden costs that get added on, such as overhead fees for equipment and tooling, as well as any packaging or shipping that they might provide for you as well. Be sure to outline as specifically as possible what you want the company to do for you – beyond the manufacturing – so you can get a clear picture of the total cost. Otherwise, you may think they’re pricing is better than the competitor’s while the services aren’t comparable. 2. What’s Their Skill Level? Don’t assume that all contract manufacturers provide the same level of skilled labor. It’s important to verify the expertise of the technicians that will be doing the work for you. It’s also important to verify what certifications and processes the company has in place to ensure the project is completed to specification, and on-time. Ask for copies of any applicable certifications, and take a look at online reviews, testimonials and information provided on their website, so you can confirm the expertise of the company you’re considering working with. 3. Do They Offer Quality Testing? 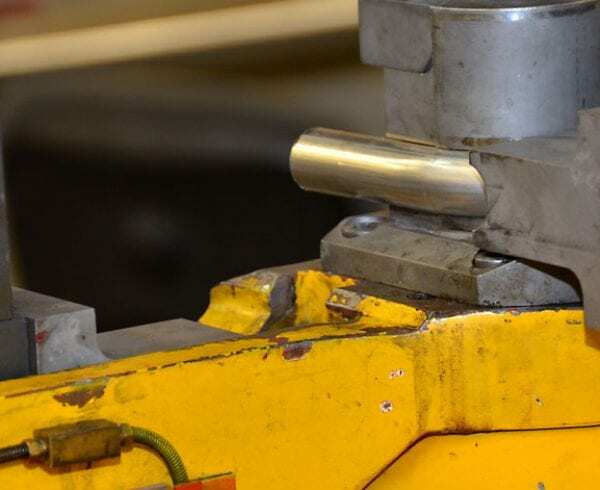 Some contract manufacturers may not clearly indicate whether they offer quality testing services along with – or as a part of – their fabrication services. This is a highly valuable service, because it ensures the quality of the components and/or assemblies produced matches industry standards, as well as any specific requirements your organization may have. If this service is included, it will be reflected in the price. 4. Is it a One-Time Project, or Ongoing? If you have a contract manufacturer that you use for ongoing work, the price estimate you receive for additional projects may be lower than if you were to price out a new provider for a one-time project. Contract manufacturers often negotiate volume discounts from material suppliers, and will pass on some of that savings to you. If, however, they are being hired for a one-time gig, or one that requires uncommon materials, the estimate may be higher. It’s important to keep this in mind when shopping for a contract manufacturer. All of the above can be verified with a detailed bill of materials (BOM), which reputable contract manufacturers should always provide to you. The BOM should include specific information about what is included in the quote, and the factors affecting the total. This empowers you to make an educated decision about which contract manufacturer can best meet your quality needs, while also meeting your budget limitations. Remember – the lowest quote is not always necessarily the best. Be sure to consider the contract manufacturing services being provided, the expertise of the company, the quality of products and services delivered, and the potential for long-term cost savings opportunities. The value of working with the right contract manufacturing company is often worth a slightly higher price tag.